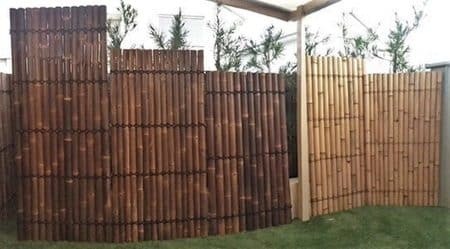 Supply or supply and install the best quality Bamboo screening panels available. Supply instructions for D.I.Y for a professional job. 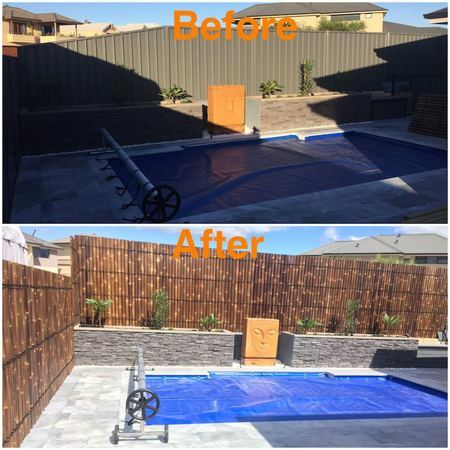 Professionally Install, hassle free. 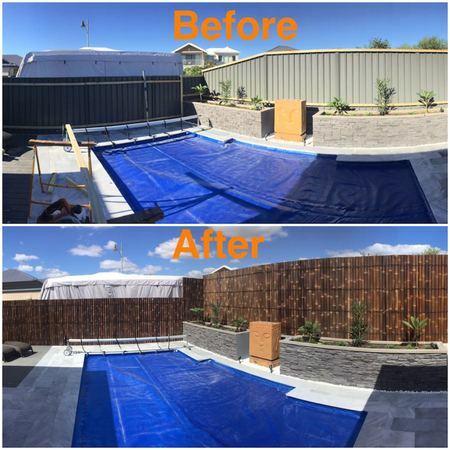 Transform your back yard. Mr Thatch won’t be beaten on any price and won’t compromise on quality. 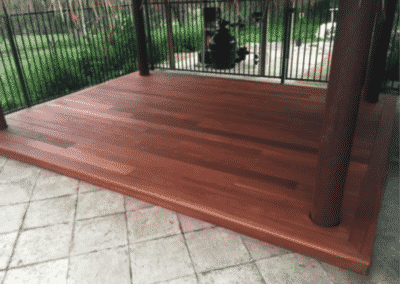 A Natural, Quality Product with the Warmth of Timber. Timeless Beauty with an Eco friendly Organic touch. 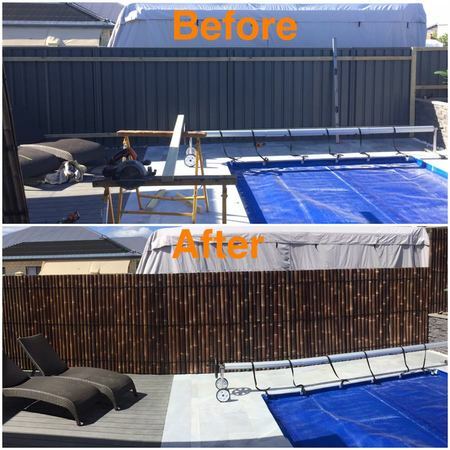 the Panels are pre-oiled to protect them from the harsh UV rays. 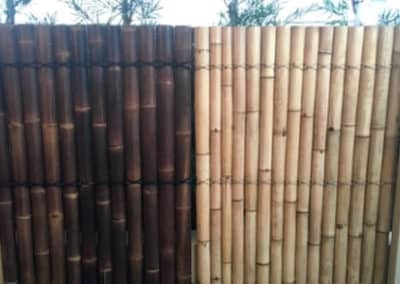 Each piece of bamboo is individually screwed onto the battens for maximum strength. 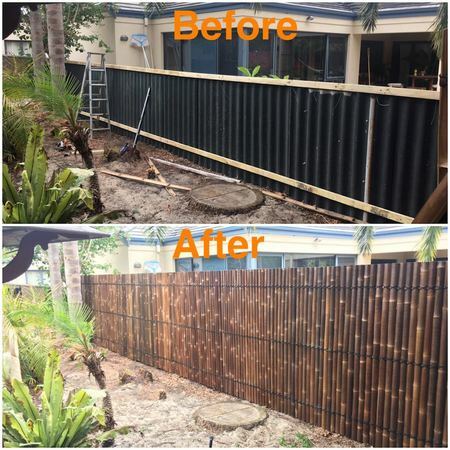 Mr Thatch Installs using treated timber and stainless steel screws for longevity. 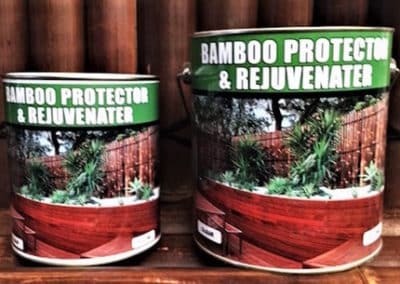 Mr Thatch pays more for their Bamboo to ensure thier customers enjoy superior quality that lasts. Professional advice, service and the best products available for your peace of mind. Sprayed with a UV Protectant, Collect or we can Deliver. Hi Jacqui. Thank you we are very happy with the job done. If ever there is a contractor I can trust, it’s Jacqui. Thanks very much for a great job so far. 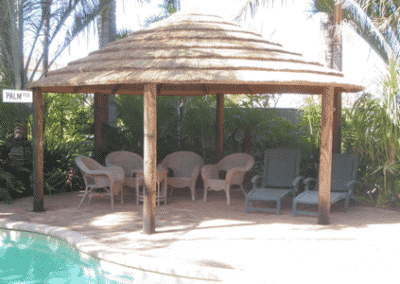 We love it and the service has been excellent. Hi Jacqui, just letting you know i have deposited the money in to the bank this morning I would like to thank you guys for a very professional job done by the guys and amazing clean up job as well, thanks again I will have no problems recommending Mr Thatch at all!! 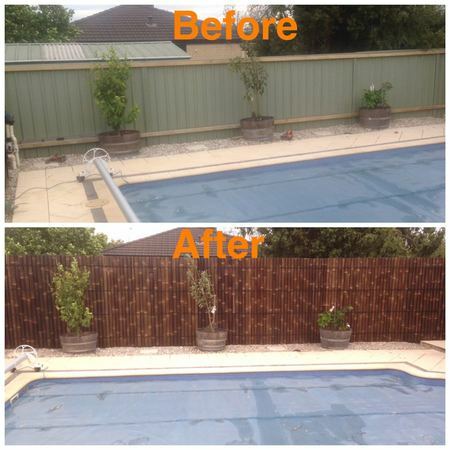 Hi Jacqui & Ross, Thanks for all your help in getting the fencing application approved. 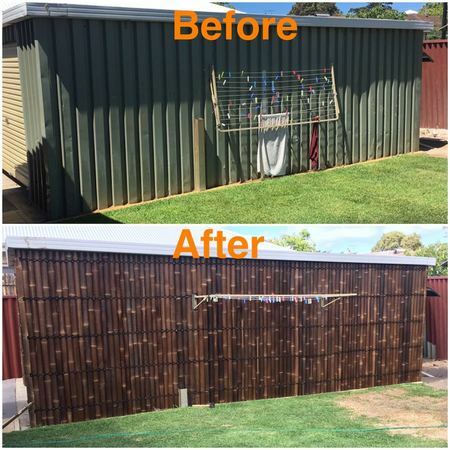 We’re really pleased with the quality of the installation, and look forward to buying a Bali hut from you in the near future!